True Team Development (TTD) expedites the process of a Team’s development. Teams reach a performance stage, characterized by high team effectiveness and impact, faster. This saves you and your organization time and money. Why Does True Team Development Work? In order for teams to effectively grow, face up to challenges, tackle problems, find solutions, plan work, and deliver results, they must pass through four phases of development; forming, norming, storming, and performing. The phases are characterized by certain attributes and group dynamics. 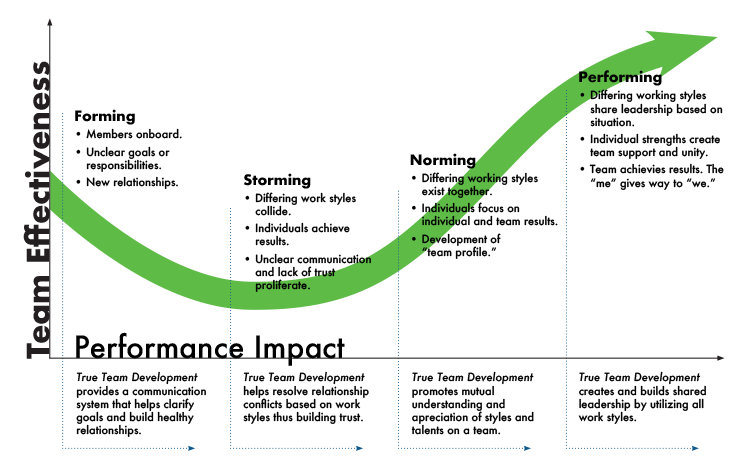 Figure 1.1 – True Team Development – There is a correlation between the team’s stage of development, effectiveness and performance impact. True Team Development determines the phase of development then provides the team what it needs to be more effective and achieve results. A series of full, half day, or lunch and learn workshops and coaching sessions based on your team’s needs. Contact us to discuss how a custom True Team Development program will work for your team, group, or organization.